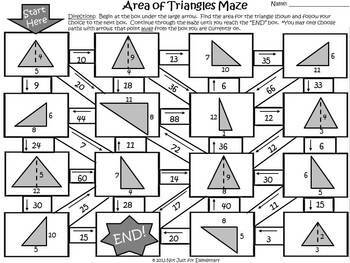 Try a fun and novel way to assess your student's knowledge of finding the area of triangles: a maze!! Students begin at the box under the large "start here" arrow. 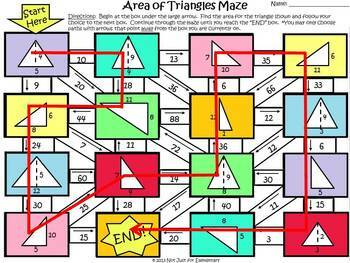 They find the area of the triangle shown and follow their choice to the next box, continuing through the maze until the “END” box. 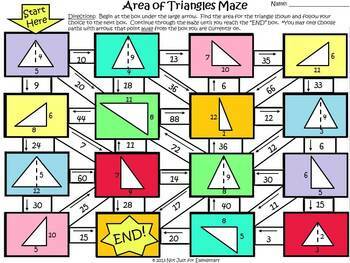 This item includes a colored and black/white version of the maze worksheet, along with the key. Grading is quick and painless! Each box within the maze contains an illustration of a triangle and the measures of its base and height. 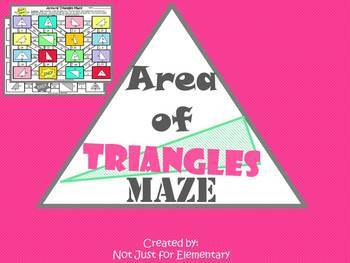 Area Measurement Maze by Not Just for Elementary is licensed under a Creative Commons Attribution-NonCommercial-NoDerivs 3.0 Unported License.